« Help!! Something ate my WordPress blog!!! When the web began, most users had a monitor that had maybe a 13″ diagonal and showed a screen resolution of 640 x 480 pixels. (What’s a pixel? It’s basically how many dots go across your screen from left to right and top to bottom) Folks today may have a flat-screen monitor on their desk that is 24″ (or more!) and a resolution of 1920 x 1200 or larger. I won’t go into the whole technical topic of screen sizes and resolutions much beyond that… Suffice it to say, for maximum impact your website should keep up with the technologies that your viewers are using. These days, only about 5% of the people visiting websites use a resolution of 800 x 600 pixels or less. Yet most websites are designed with that resolution in mind. 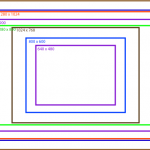 When I wrote this blog, the most common “lower” resolution was 1024 x 768 pixels (roughly 23%). If your website is set up this way, it means that 95% of the people visiting your website will see an empty band on either side of your content, and will have to scroll downward more to read everything. Depending on their screen, as much as 50% of their browser may be blank space! As an analogy, you could read the latest Robert Parker mystery book with each page of the paperback printed in the middle of a blank newspaper page….. but it would look lost in all of that empty space! My suggestion is to think about using what is called a “liquid layout”. This type of layout can adapt itself to the screen resolution of whomever is looking at your website… automatically! 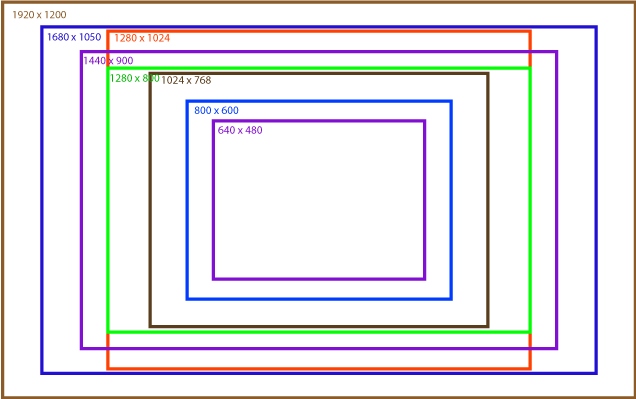 Some liquid layout websites can even automatically adapt to the size of their browser as well as their resolution. As a matter of fact, this website is a liquid layout! Now liquid layouts are not a universal panacea! Like most things in this world, one size does not fit all. If your site is text heavy, think about how long your lines of text will be if a browser is open to full screen on a large monitor. As lines of text get longer, they get more difficult to read. If you are comfortable with playing with your computer, and with changing your video settings, go ahead and change them. You will find that this website will fill the page from left to right – regardless of the screen resolution!